Lord Mayor of Dublin, Naoise Ó Muirí, today launched the Digital Masterplan for Dublin with the Vice President of the European Commission Neelie Kroes. The Digital Masterplan is a roadmap for Ireland's Smart Economy and society. Integral to the Masterplan is the development of the Digital Maturity Scorecard (DMS), an analytical tool to benchmark Dublin’s digital performance internationally. The Scorecard is a world first and was developed by Intel, Maynooth’s Innovation Value Institute and Dublin City University. The Masterplan lays out 7 “Big Ticket” actions to be completed. The first action is to provide a minimum of 100MB speed fibre broadband to every home in the Dublin region by Easter 2016. Fast, reliable and cost-competitive broadband infrastructure is critical to the development of Dublin as a smart city region and an ICT hub for Europe. The aim is that Fibre in the home should be as easy as buying shelves in your local DIY. The second action is the development of a flagship Digital Accelerator District (DAD) programme. This programme aims to build on existing digital hotspots and initiatives in Dublin including Launchbox.ie; Dogpatch Labs and the Digital Hub amongst others. The third action is to support improved ways of working between multi-nationals and indigenous SMEs. The Digital Masterplan outlines the need for indigenous SMEs to enter the supply chain of multi-national corporations in order to deliver a substantial expansion of eCommerce trading and digital business. This plan proposes to partner with the SME representative organisations (ISME, IIA, SFA, Chamber of Commerce) to develop a web based portal for Dublin based multi-nationals to auction packages of digital/innovation/R&D work to the local SME market. The fourth action is an online ‘Dublin Storefront’ project. This will involve the activation and expansion of work already being undertaken by other organisations in developing an online presence and the use of digital systems by Irish business. There is a requirement to build on this work and create an eCommerce and digital adoption support platform targeting businesses in the non ICT sector such as food, hotels, construction and other small start-ups. 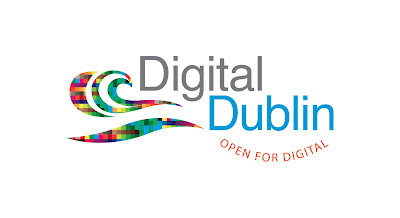 This work will facilitate the development of a globally promoted digital ‘Created in Dublin’ brand. The fifth action is to create a network of Digital Cities where ideas are generated and shared, involving a remodelling of the Citieslinked.com website and targeted at sister cities. The sixth action is a commitment by Dublin City Council to make information in relation to all services ‘Available as Digital’. The seventh action involves the commitment by Local and National Government to establish programmes to support the development of digital skills in communities, government organisations, young people and adults. Commenting on the launch, the Lord Mayor said: “Spearheaded by Dublin City Council, the Digital Dublin Masterplan seeks to create a truly digital city – one which embraces technology and innovation as means to improving the way we live, work and enjoy Dublin. It challenges national and local government to put technology and innovation to the forefront of everything we do in Dublin.